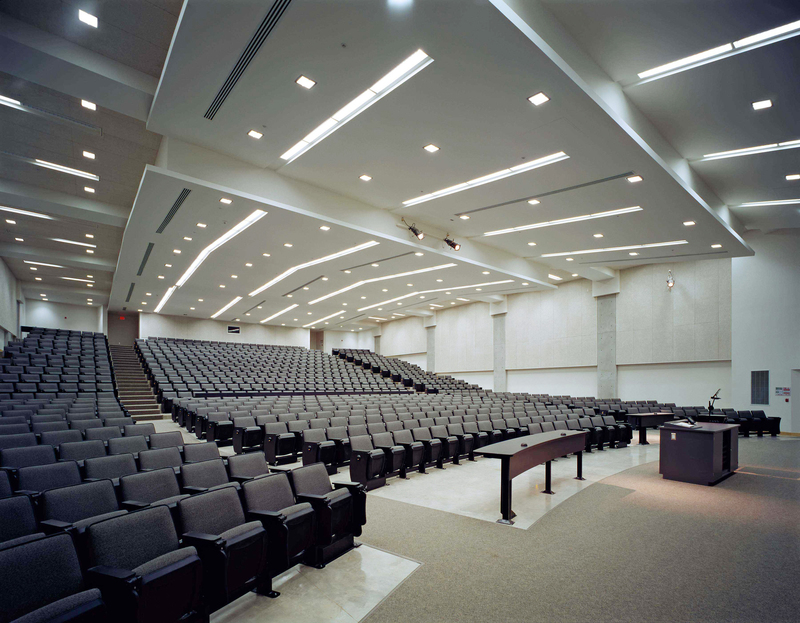 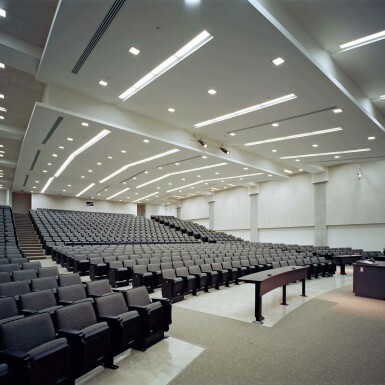 The North Campus Building accommodates state-of-the-art technology enhanced learning facilities, including an 800 seat lecture theatre, tiered classrooms (200 seat, 125 seat), television and radio studios, computer labs, a multimedia lab, a research library, Resource Centre, Journalism Centre, faculty offices and meeting rooms, as well as a food service facility. 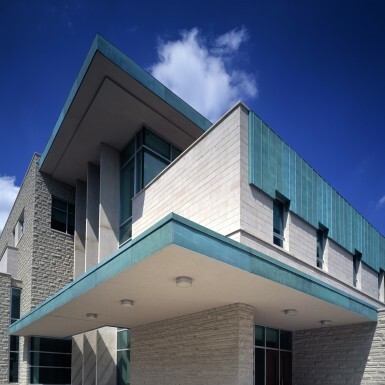 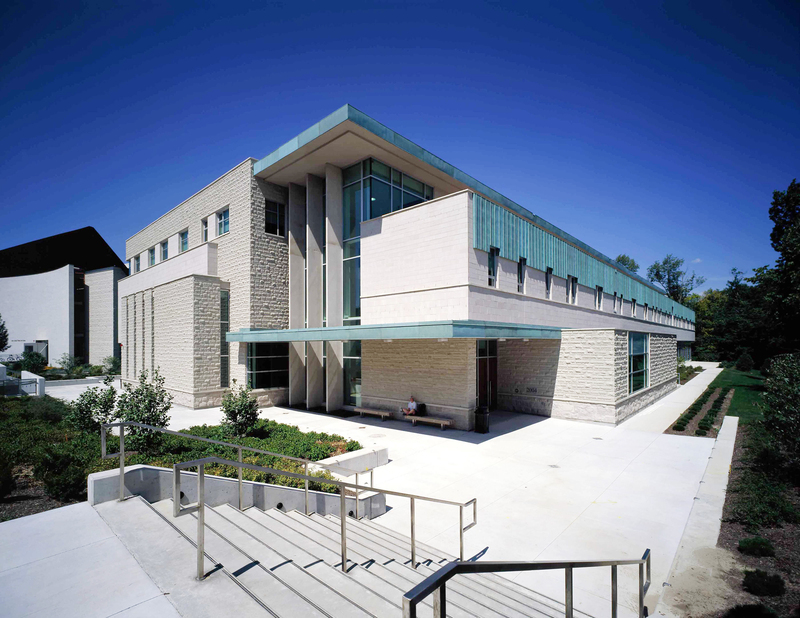 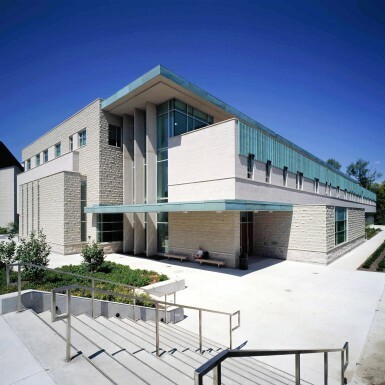 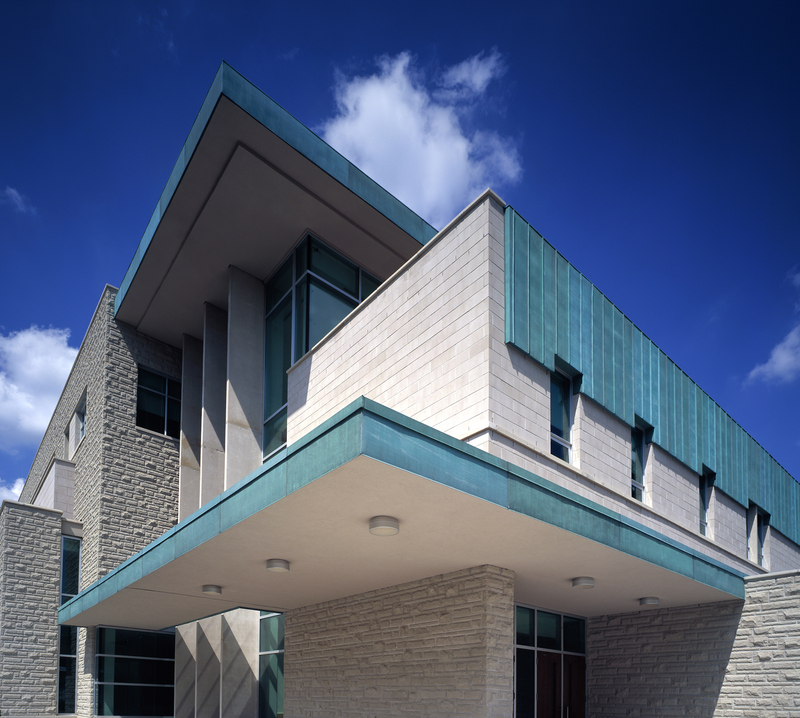 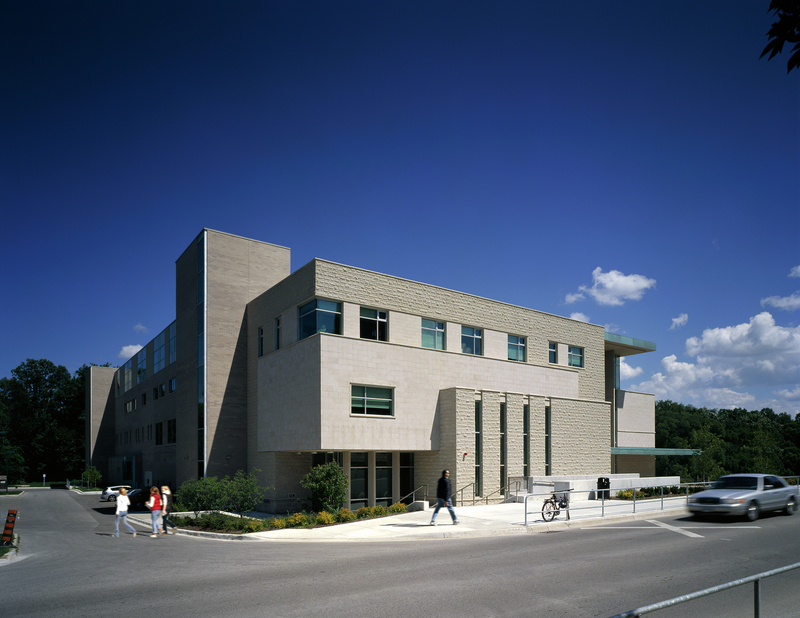 The building brings together four distinct faculties at Western into one shared facility, including general university classrooms, the Faculty of Information and Media Studies, and teaching and research labs for the Faculty of Biology. 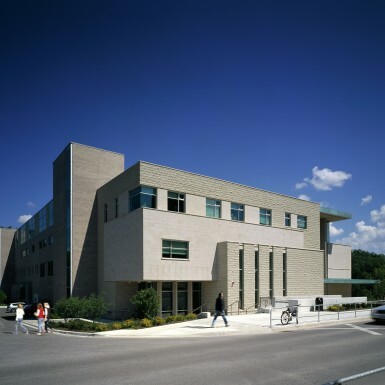 The building is sited along a hillside, overlooking the Thames River. 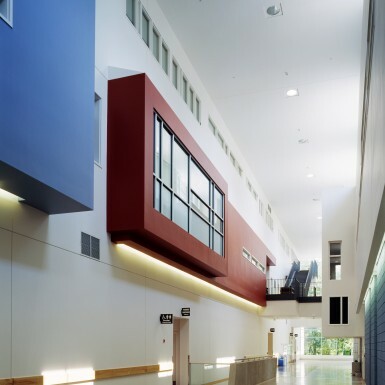 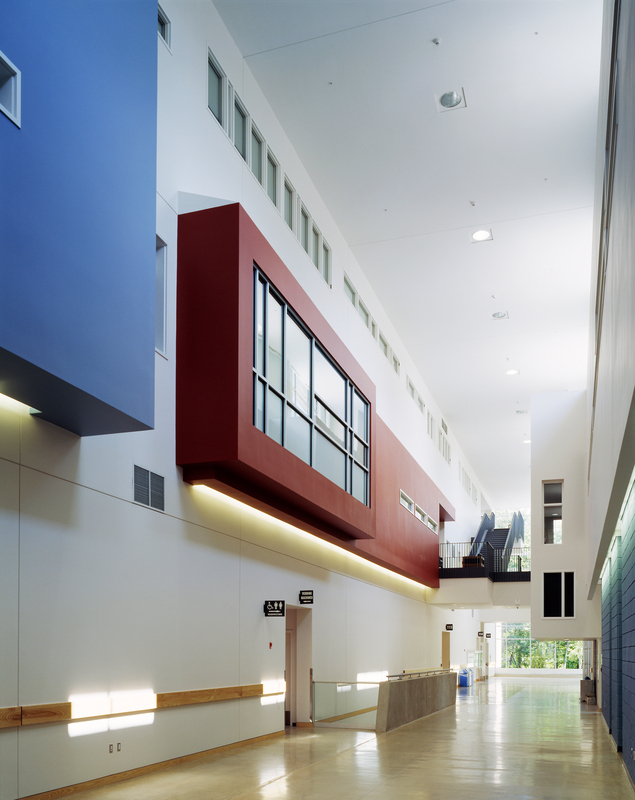 A three storey atrium space establishes a link between the University and the river, while bringing together all of the occupants into a shared collegial environment. 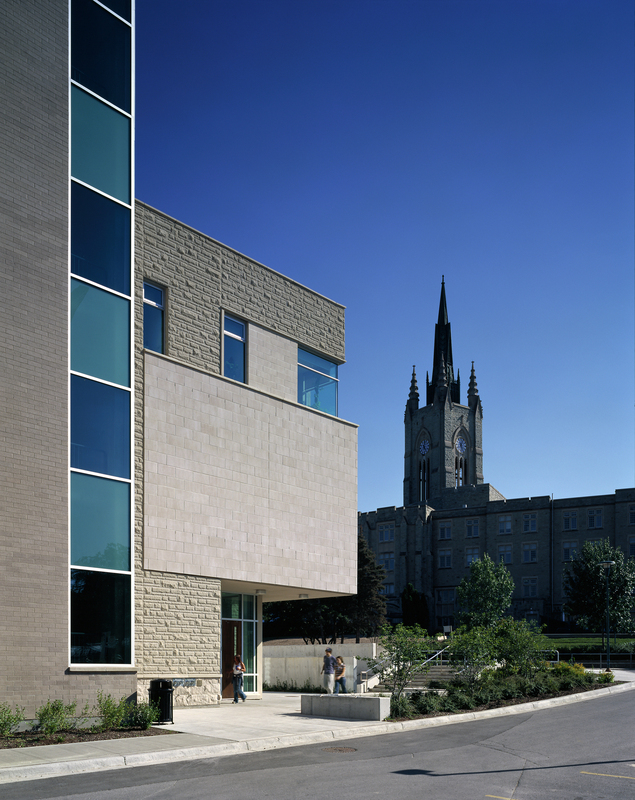 Student spaces overlook the hill and the river, creating casual spaces for interaction and study that complement the teaching facilities. 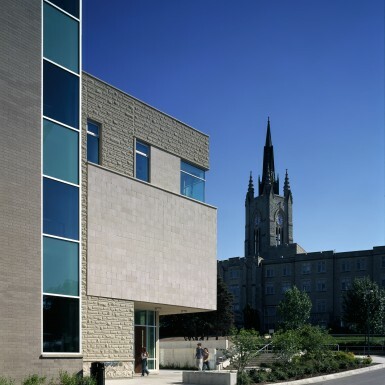 While introducing a contemporary approach to building design and construction, the final composition still addresses the traditional setting and the University’s desires to maintain material uniformity and time-honoured appearance of the campus as a whole.